Personal Code Library (collects frequently used pieces of code so you can reuse them later and save time) . 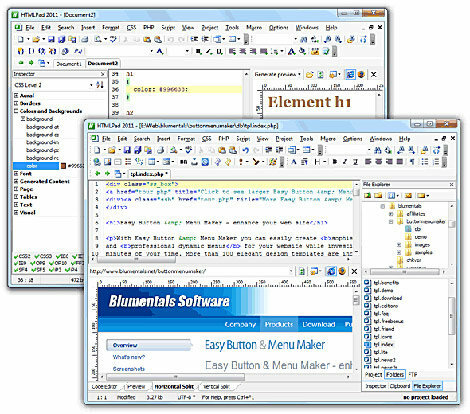 Price: visit Blumentals software website. 30-use free trial version of the HTMLPad 2011, is also available.